2018 has proven to be a remarkably difficult year for cryptocurrencies and at the moment it seems like the bear market will never end. Fortunately, cryptocurrencies exist for more than mere speculation and while the 2018 bear market may have crushed cryptocurrency prices, partnerships and adoptions have been on the rise. It’s during trying times such as these that we should remind ourselves that cryptocurrencies and blockchain technology exist to provide transparent, secure transactions that free up commerce from invisible hands and return power to the so called ‘little man’. In America it tends to be the ‘little man’ that runs the majority of small businesses and one could argue that this sector of the economy has not been receiving a fair shake for a variety of reasons, one being excessive point of sale processing fees from credit card companies and profit eating charges from megaliths like PayPal. For this reason alone, small business operators, of all people, should be drawn to cryptocurrencies like a month to a flame. Cryptocurrencies can work to maximize profit for small businesses while also making the purchasing process easier and safer for customers. Every week, cryptocurrency news outlets break news on new partnerships taking place between traditional businesses and crypto startups, but how many of these partnerships actually materialize? Starbucks and Microsoft are planning to integrate a mobile payment system which will convert cryptocurrency to cash on spot, while CheapAir.com, Expedia and Brisbane Airport accept cryptocurrency for flight and hotel reservations. Even legacy financial institutions are latching onto the blockchain and cryptocurrency revolution. To date, more than 121 banks have adopted Ripple’s xCurrent blockchain technology, which is proven to speed up cross border payments while significantly decreasing costs. With that said, the space is far from saturated and small businesses will easily be able grow their base and command additional market space by adding a cryptocurrency based payment system to their list of payment methods. In fact, a recent survey shows that more than 39% of survey respondents in the U.S. would like to use Bitcoin for general purchases. Showing interest and willingness to accept cryptocurrencies could provide heaps of free advertising for the businesses involved. Most crypto-startups desperately need to spread any news of partnerships and adoption as this further legitimises their existence, along with clearing some of the misconceptions surrounding cryptocurrencies and how they work. Partnerships between the traditional business and cryptocurrency sector garner press coverage from media heavyweights. Take for example, this week’s story from Forbes, which highlights a new partnership between personalized website designer Wix and PumaPay. The partnership not only allows Wix to accept cryptocurrencies for billing but also extends to Wix customers and users who will also have the option of implementing payment options into their own websites. Wix is connected to more than 200 apps and more than 125 million people have used the company to create their website and manage their online business. 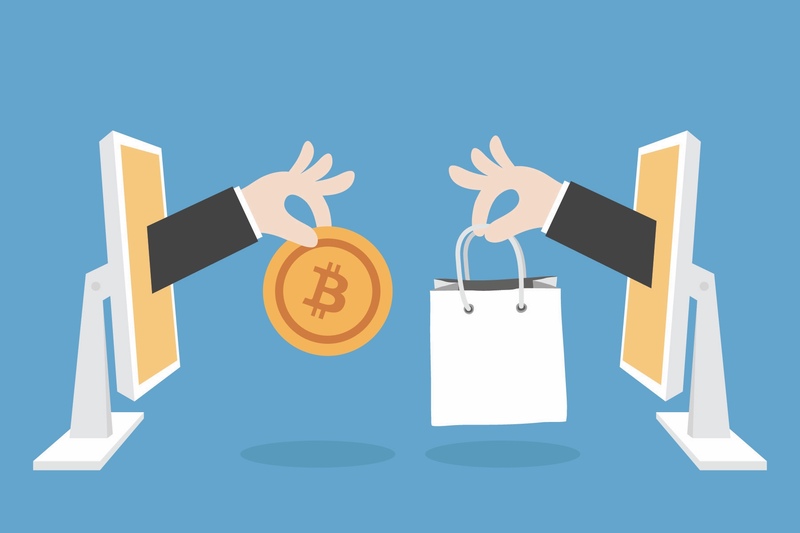 It only takes a moment to imagine how many customers and Wix clients will now have worldwide access to a growing base of shoppers looking to purchase items with cryptocurrency. Another example of a partnership which could potentially enrich both parties involved is a deal between iVend and GoByte Network which will see GoByte Pay installed on all of iVend’s point of sale processors and extends to the more that 1,500 global clients and corporations that the company currently serves. Essentially, this means caffeine deprived workers could simply pop down to the lounge coffee machine and purchase a coffee or coke using cryptocurrency in the near future. This is exactly the type of ‘everyday’ transaction that research shows consumers are looking to make. Onboarding a crypto payment processing system also has the potential to connect the business ‘brand’ with a new subset of customers as millenials have shown a particular penchant for the ideology underlying cryptocurrencies. A recent survey commissioned by LendEdu found that 38.46% of 18-24 year-olds have owned bitcoin, and 32.54% of 25-34 year-olds have owned or used bitcoin. As the general public’s knowledge of cryptocurrencies expands and the arrival of institutional investors entering the market to develop digital asset backed financial products occurs, these numbers are bound to increase within both cohorts. Small businesses can reach out to new customers and incentivise current customers by developing their own cryptocurrency. This guide from MetaMask shows just how easy it is to create a crypto token using Ethereum ERC-20 standard. Personalized tokens could be incorporated into a pre-existing customer reward system that compensates shoppers for leaving reviews, making referrals or purchasing a particular item. Business operators are then free to accept their native token as currency for goods, as discount credits or even as part of a loyalty system for vip and repeat customers. The possibilities are literally endless and the ICO rush of 2016-17 serves as a fantastic example of how cryptocurrencies can be used. Alternatively, small businesses can forgo the process of distributing their own cryptocurrency and configuring the surrounding infrastructure of setting up wallet addresses and so on by jumping onboard with a crypto-startup that already offers the service or customer base that the small business hopes to achieve or reach. At the moment, there is no shortage of viable cryptocurrency payment options small businesses could adopt. Dether, Bitpay, GoByte Pay, PumaPay and Crypterium are just a few, and the benefit of accepting crypto payments will reduce transaction costs and membership fees which typically increase overhead cost for businesses and the price of goods for customers. Some crypto-payment processors like Dether and GoByte even go as far as completely removing transaction fees for merchants in some situations. Crypto-payments are a rapidly growing space but it is far from saturated. In 2017, BitPay’s volume of bitcoin payments grew by 328% and rose to nearly $1 billion in transactions. Meanwhile, despite Litecoin’s poor performance from an investment standpoint, the cryptocurrency is accepted at more than nine payment processors which serve the customers of nearly 140,000 vendors and the rate of adoption continues to grow. In light of these impressive numbers there is still plenty of room for additional growth. Currently, 60% of Square merchants would prefer to accept bitcoin over USD and 12% intend to accept crypto payments within the next 12 months. A 2017 report from Visual Capitalist found that the number of brick-and-mortar shops accepting cryptocurrencies grew by 30.3 percent, which is roughly 11,300 retailers worldwide. Another report concluded that 40% of survey participants who possessed some awareness of digital currencies were open to using them for daily transactions. With this said, it is still rather difficult for one to spend cryptocurrencies at whim as slow transaction times and high transaction fees sometimes stand in the way of executing a purchase. Merchants who accept cryptocurrency payments will automatically have immediate access to a growing category of customers who are looking for places to spend their tokens and the additional revenue from this group could provide the funds required to expand one’s product offering and regional footprint by opening new digital or physical stores. 2018 has shown the cryptocurrency community that more than technical analysis, breaking news and speculation are required to break a profit on one’s cryptocurrency investment. If we look past the possibility of 2019 being the year when institutional investors engage with cryptocurrencies as an investment vehicle we will find that utility, partnerships and ease of adoption in the face of conventional processes are what will drive cryptocurrency adoption and price action in 2019. The e-commerce and payments sector is forecast to experience exponential growth and by 2021 revenues from e-commerce and mobile payment processing are expected to rise from $528.2 billion to $885.4 billion. Surely the wisest short and long-term move for SMB’s would be to ensure they can catch this wave by setting up a cryptocurrency payments system which can accommodate the growing demand of customers expecting to use digital assets for everyday purchases. Horace Whitaker is the Senior Editor for Berminal, a blockchain news platform and aggregator which covers the most important breaking cryptocurrency news 24-hours a day, 7 days a week. You can download Berminal here.